How is your sixth day of fasting today? Hope it’s going on great so far. Ramadhan is my favourite month in the Islamic calendar. :) All praises to God, I have another chance to experience Ramadhan. I was asked this question a number of times by more than 5 different people today. That is totally normal. This is a question that even without realizing it, will be asked by everyone who is fasting, and even those who aren’t fasting too. We Malaysians do think and talk about food a lot especially because of the variety of food choices that we have here in Malaysia. And when Ramadhan comes? I think its multiplied by 10. 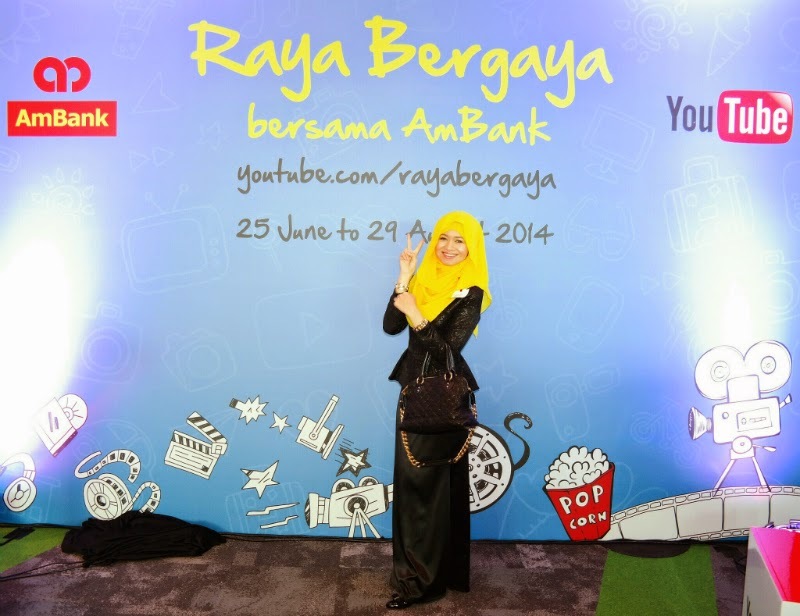 Anyways, just last week on the 25th June 2014, I attended the launch of AmBank Raya YouTube channel at Google’s office at KL Sentral. To be honest I didn’t even know Google had an office here. As I entered Google’s office my mood really lifted because the office was so cool and colourful! I think it has to be the coolest office ever! Before I arrived I didn’t know what the launch was about at all. It turned out to be a launch of AmBank Raya’s channel on YouTube which is dedicated to featuring over 1000 Ramadhan-Raya related content ranging from food, recipes, fashion, beauty tips, cartoons, learning, Upin & Ipin and music. It is something really useful and I haven’t heard of such channel before! Paul Lewis, Managing Director, Retail Banking, AmBank launched the channel together with Sajith Sivanandan, Managing Director of Google Malaysia. “AmBank decided to collaborate with Google to celebrate Ramadhan… This would be the largest YouTube channel in South East Asia for a Ramadhan and Raya themed channel. It is our aim as Malaysia’s Bank to provide relevant content for Malaysians who celebrate this special occasion. Malaysians talk about food a lot. At lunch we talk about dinner, at dinner we talk about breakfast.” Snippets of what Paul said during his presentation. “For YouTube in Malaysia, our fervent wish is for Malaysians to be able to easily access all the relevant seasonal content to enjoy with family and friends during this special time. Being able to showcase quality content by Malaysian creators makes it all the more special,” said Mr Sajith. At the press conference, they mentioned that this collaboration is not about the bank, sales or the products. The focus is on the customers and to give something beneficial for their YouTube channel viewers. I must admit that since YouTube first launched many, many years ago I was one of those who were crazy about searching videos of content which I liked as well as relevant things to me. I started to watch YouTube videos to watch music videos, concerts of my favorite bands, funny videos and then after I went for umrah in 2012, I started to watch talks by Muslim inspirational speakers too. I even started my own YouTube video when I was in uni, but no I am not going to tell you my username of that old account! Haha. YouTube is very useful and beneficial and I am sure many will agree to that. I personally think that the collaboration between AmBank and YouTube is very unique. AmBank is the first financial institution to do this kind of collaboration on a big scale like this and Google, which owns YouTube, only collaborates once a year. As Paul said at the PC, the banking institutions are usually very conventional so AmBank wants to be more relevant and reach out to online viewers. All that info I got during the press conference which just looked so cool and relaxed because it was done in Google’s office. Have I mentioned how impressed I was with the office yet? Anyways, when I went back home after the event, I checked out their channel. It was really interesting. They divided it into 4 categories, Jom Makan (Let’s Eat) with videos on recipes of local and traditional dishes (feel like trying them all! ), Sudut Molek (fashion and beauty) for styling and beauty tips; Kartun Korner(cartoons) for the kids (Aiyo I feel so old already.. and that reminds me.. must save for duit raya angpow T_T) and Muzik & Hiburan (entertainment and music) for all your favourite and nostalgic Raya songs. The AmBank Raya Bergaya channel can be viewed at www.youtube.com/ambanktv/rayabergaya. At the end of the launch they showed a preview of their sing-along, cheerful and happy Raya song. Raya Bergaya bersama AmBank music video. The cooking channel Jom Makan is something I’m really keen to try out. So instead of buying all my yummy favourites at the crazy Ramadhan bazaars, I think this year I might just be cooking some of my favourite dishes like laksam and ayam percik at home instead! Oh and randomly, I wish I brought a little red too to match AmBank’s colours! I was in black and yellow. Almost.. almost. Gerai Gugel. So cool. I was fasting that day though so I couldn’t try the food they had. It looks good though! 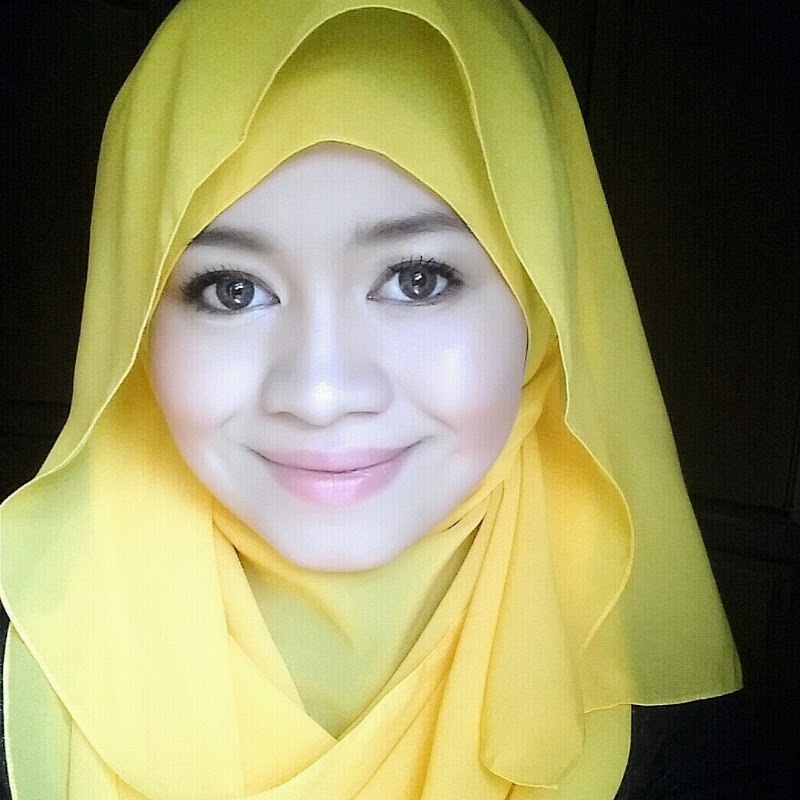 Me in yellow for AmBank. Paul Lewis, Managing Director of Retail Banking, AmBank (left) and Sajith Sivanandan, Managing Director of Google Malaysia after launching the AmBank Raya YouTube channel. The management team of AmBank and Google.